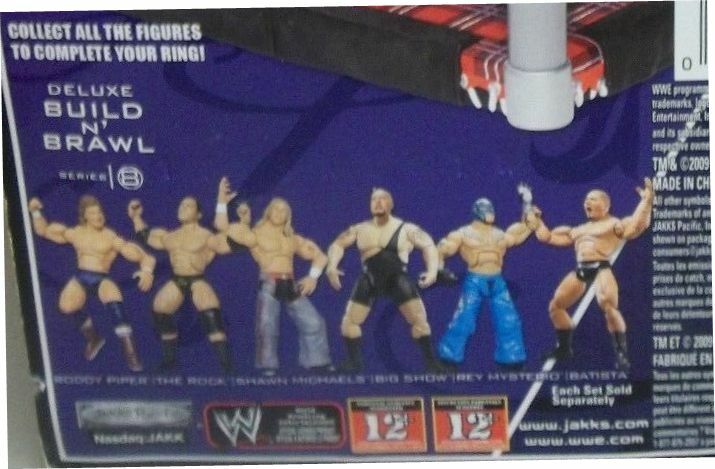 Deluxe Build N Brawl (2007-2009) was a style of WWE Figures that had the look and feel of the 7" Deluxe Aggresion line but stood at almost half the size at 3.75" Tall. 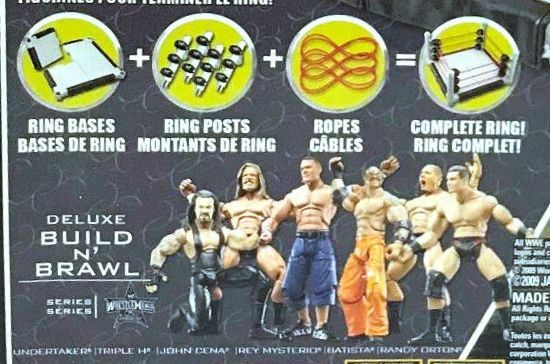 Deluxe BnB saw thirty-nine unique characters released over nine main series releases; and two Wrestlemania themed series released in 2009. The short-lived style saw multiple releases of John Cena, The Undertaker, Triple H, Batista, Rey Mysterio, Matt Hardy, Shawn Michaels, and Randy Orton. With that said, they were still able to make first time figures of some characters like Sgt Slaughter and Deuce and Domino. John Morrison was originally slated for Series 2 release, however it was scrapped and a different attired version of Morrison was released in series 5. 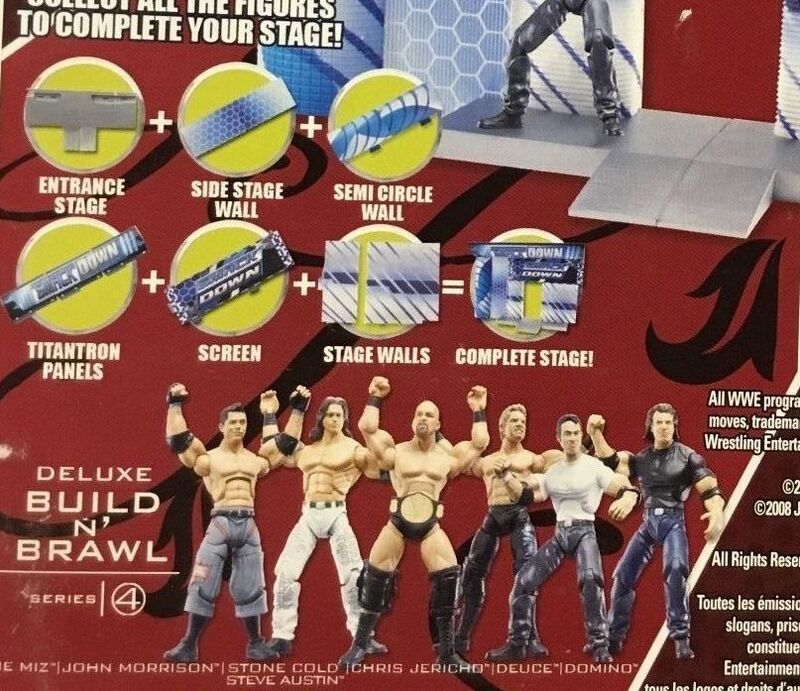 Razor Ramon was originally seen at Toy Fair with green trunks, however the finished prototype images showed Ramon in the released purple attire. 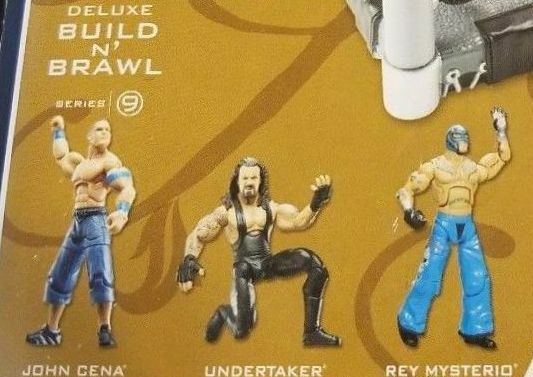 Series includes Rey Mysterio John Cena The Undertaker! 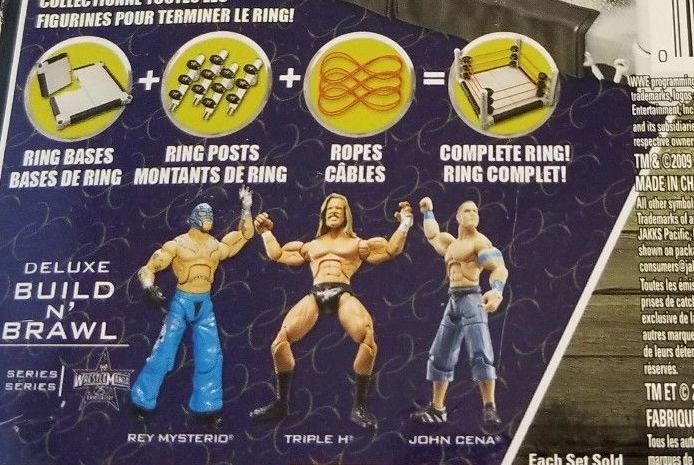 Series includes Rey Mysterio John Cena Triple H!